Scott Graham and Cristy Aloysi are a husband and wife team who met while learning their craft at Urban Glass in New York City. 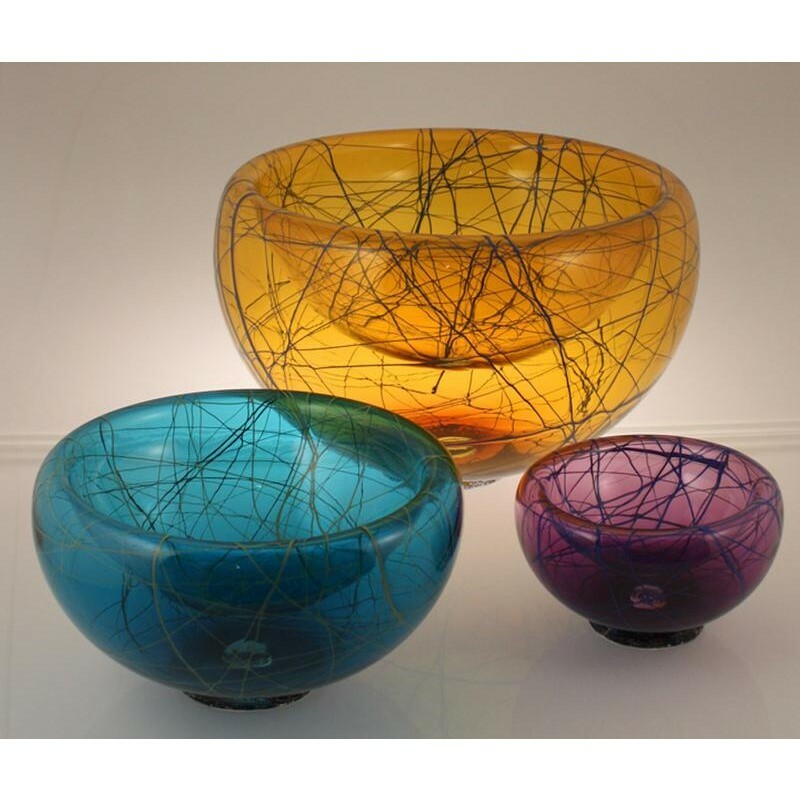 They have studied and taught the art of glassblowing across the United States, Italy and the Virgin Islands. Graham and Aloysi live and work in Seattle where they teach, work on independent projects and collaborate in their Viscosity Studio & Gallery. The beauty of Cristy glass is that no two are exactly the same. Each piece has been carefully shaped by the hands of the artists, creating a uniqueness that cannot be imitated by any machine. Their work may be seen as a continuation of the 3000-year-old tradition of glass making and the American art glass movement. Scott Graham and Cristy Aloysi are a husband and wife team who met while learning their craft at Urban Glass in New York City. They have studied and taught the art of glassblowing across the United States, Italy and the Virgin Islands. Graham and Aloysi live and work in Seattle where they teach, work on independent projects and collaborate in their Viscosity Studio & Gallery. The beauty of Cristy glass is that no two are exactly the same. Each piece has been carefully shaped by the hands of the artists, creating a uniqueness that cannot be imitated by any machine. Their work may be seen as a continuation of the 3000-year-old tradition of glass making and the American art glass movement.